Olivia Lewis is a remarkable source of inspiration for her students, peers, and administrators, as well as anyone who is struggling to overcome challenges. As a young student, Mrs. Lewis struggled with reading and writing and would eventually be diagnosed with dyslexia as a teenager. In college, she was told by her professor that she would never graduate with an undergraduate degree. Fortunately, she overcame her diagnosis and proved her professor wrong. Through her tenacity and strength she not only graduated with a bachelors in history, but she went on to earn not one but two master’s degrees. 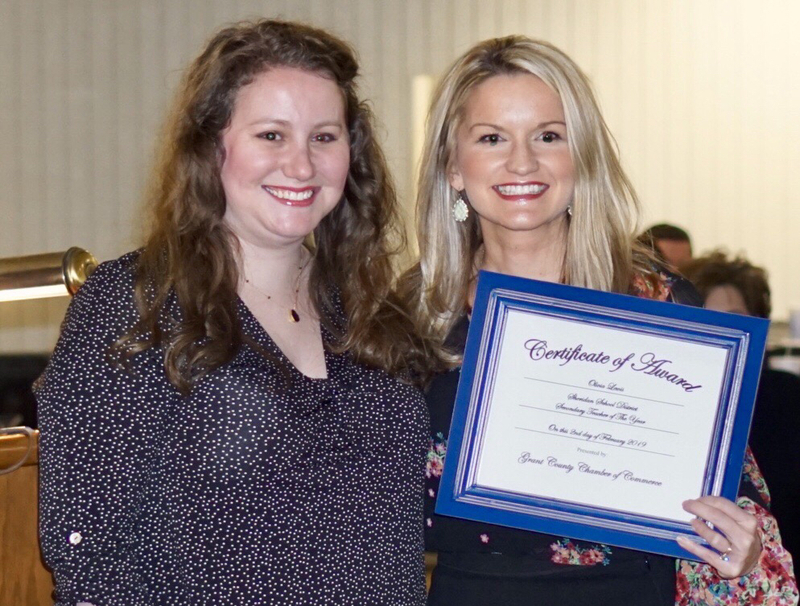 Within her first few years of teaching, Mrs. Lewis was recognized for being the 2015 best novice social studies teacher in Arkansas. The following year, she won the James Madison Memorial Fellowship, which is offered to only one teacher per state per year, to earn a master’s degree and the chance to spend the summer studying at Georgetown University. Fellow teacher, Amber Forbush, said that even in her first year of teaching, Mrs. Lewis stood out above the rest. “She helps all of us strive to be better every day,” she said.